England is torn in civil strife as the Royalists battle the Parliamentary Party for control. This conflict distracts people from rational thought and allows unscrupulous men to gain local power by exploiting village superstitions. 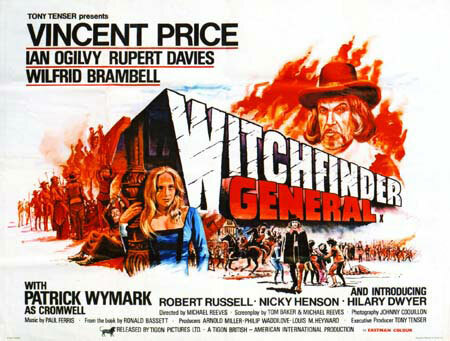 One of these men is Matthew Hopkins, who tours the land offering his services as a persecutor of witches. Aided by his sadistic accomplice John Stearne, he travels from city to city and wrenches confessions from "witches" in order to line his pockets and gain sexual favors. When Hopkins persecutes a priest, he incurs the wrath of Richard Marshall, who is engaged to the priest&apos;s niece. Risking treason by leaving his military duties, Marshall relentlessly pursues the evil Hopkins and his minion Stearne.